Ornaments by Christopher Radko are always striking and these elephant Christmas tree ornaments are no exception. 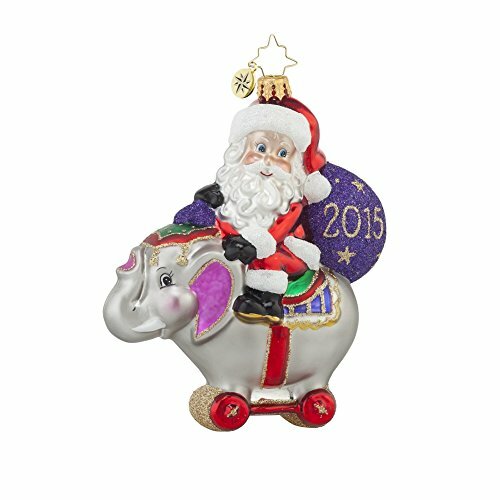 The Circus Ride Santa was new for 2015 and is also a Baby’s First Christmas ornament. For 2014, the Bombay Dreams Elephant glass ornament is made in Poland and comes individually boxed. It has vibrant red, teal, and gold colors and a pleasing design. 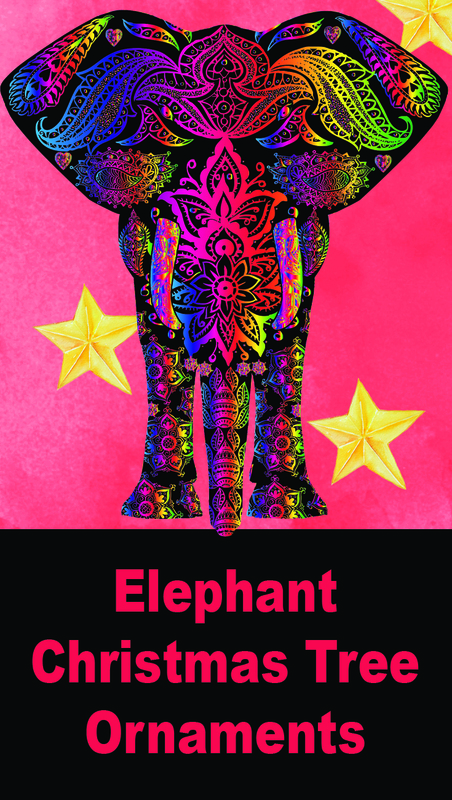 This one will be a collectible and would be a good gift for an elephant collector or a nice addition to your own collection. Seasonal Christmas items tend to sell out quickly so if you see something you like, it’s best to get it early. Click here to see other Christopher Radko animal ornaments. Elephants are fascinating, amazing animals and lots of people collect them. 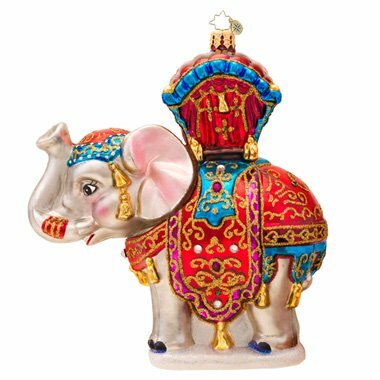 If you’re an elephant collector you might enjoy some of these beautiful ornaments. They will also make wonderful gifts for your favorite elephant collector. There are lovely Old World mouth blown glass elephants, and elephants made of resin, felt, wood, or cut glass. We even have a “Republican” elephant ornament for those who like political collectibles. The Baby’s First Christmas elephant ornaments are a charming gift for parents of a new baby, or maybe to commemorate your own baby’s first Christmas. There’s an elephant Christmas tree ornament to fit anyone’s taste or style. If you have a ornament or group of ornaments to show off, a display stand might be a good choice. There are stands for displaying a single ornament and stands for displaying multiple ornaments. As Amazon Associates we earn from qualifying purchases. Copyright © 2019 · Christmas Ornament Shop · The Cutest Christmas Ornaments Online · ALL RIGHTS RESERVED.